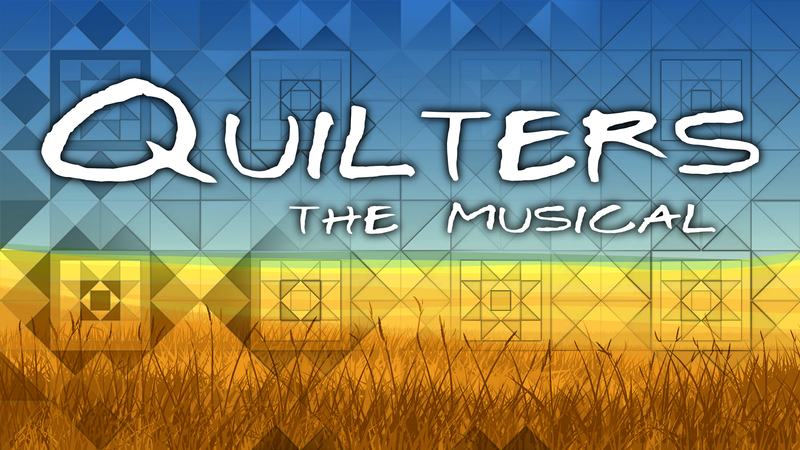 Quilters is the story of a pioneer woman and her six daughters that blends a series of interrelated scenes into a rich mosaic designed to capture the sweep and beauty, the terror and joy, the harsh challenge and abiding rewards of frontier life. Illuminating stories contained in various patches or “blocks” with music, dance and drama, the action depicts the life of women on the frontier, as they battle illness and death, face the challenges that nature offers, and struggle to creature a stable existence. They do also, in a life that is grueling and harsh, find love, warmth, rich and lively humor, and the moving spectacle of simple human dignity and steadfastness in the face of adversity. In the end, when the various patches are assembled into one glorious, brilliantly colorful quilt, the effect is both breathtaking and magical—and a theatrical masterstroke which will linger in the mind and memory long after the house lights have dimmed. Professor of Theatre Elizabeth Daily directs this moving and uplifting evening in the theatre.